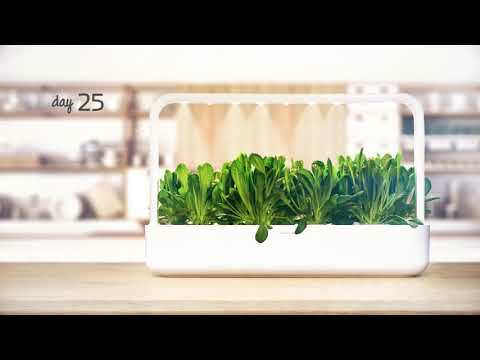 The Smart Garden 9 is a meticulously designed, self-growing indoor garden that revolutionizes how fresh food is grown. Our NASA inspired Smart Soil makes sure plants get the optimal configuration of water, oxygen, and nutrients, while special LED grow lights provide your plants with the energy they need to thrive. 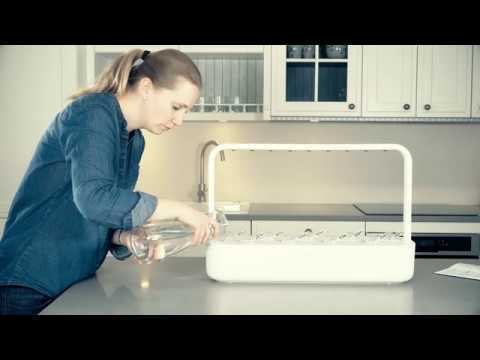 All you need to do is plug in the biodegradable plant capsules, fill the water tank and plug in the power cord. 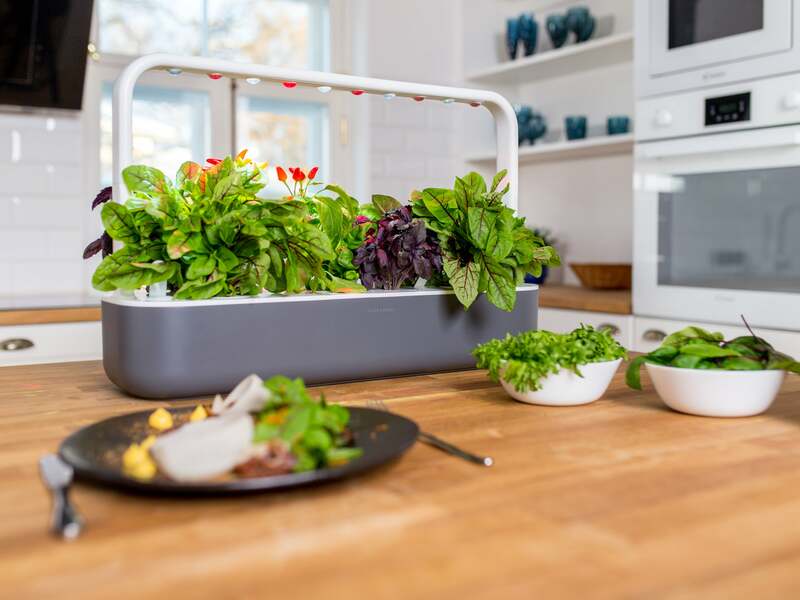 Your Smart Garden 9 will take care of the rest: it’s the ultimate set-it-and-forget-it garden system that will grow herbs, flowers and salad greens with zero effort. The user-logic of the Click & Grow gardens is similar to that of Nespresso and Keurig capsule coffee machines only instead of coffee pods, we offer plant capsules with a variety of seeds. Our seedpods are biodegradable and don’t contain any GMO’s, herbicides or pesticides. Clean, fresh, homegrown. 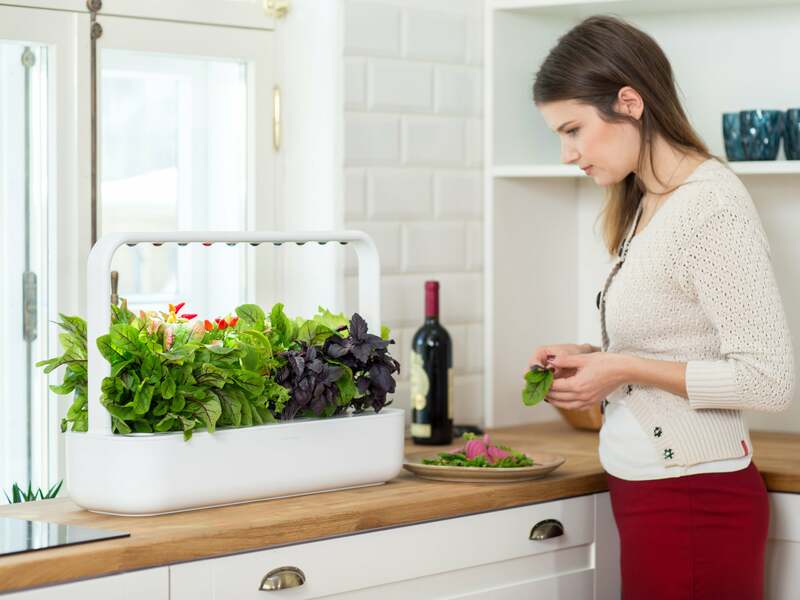 From leafy greens to salads to fruits, you can grow anything you want. No more cheap, mass-produced food that sacrifices taste and nutrients. Grow high-quality nutrient-dense greens at home. We use 95% less water than traditional agriculture while offering faster growing cycles. Grow 365 days a year. We don’t use any harmful substances. 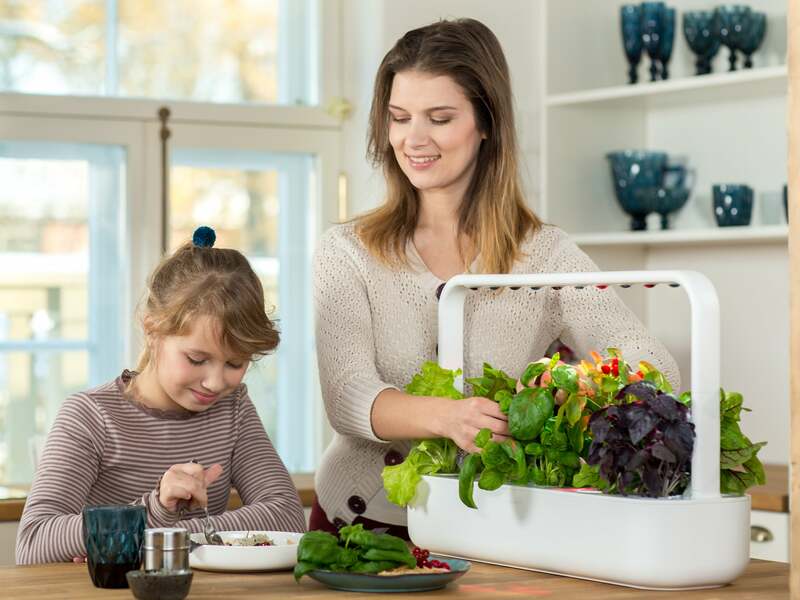 Fill the tank and the garden will water plants automatically. Special Grow lights will make your plants grow faster. 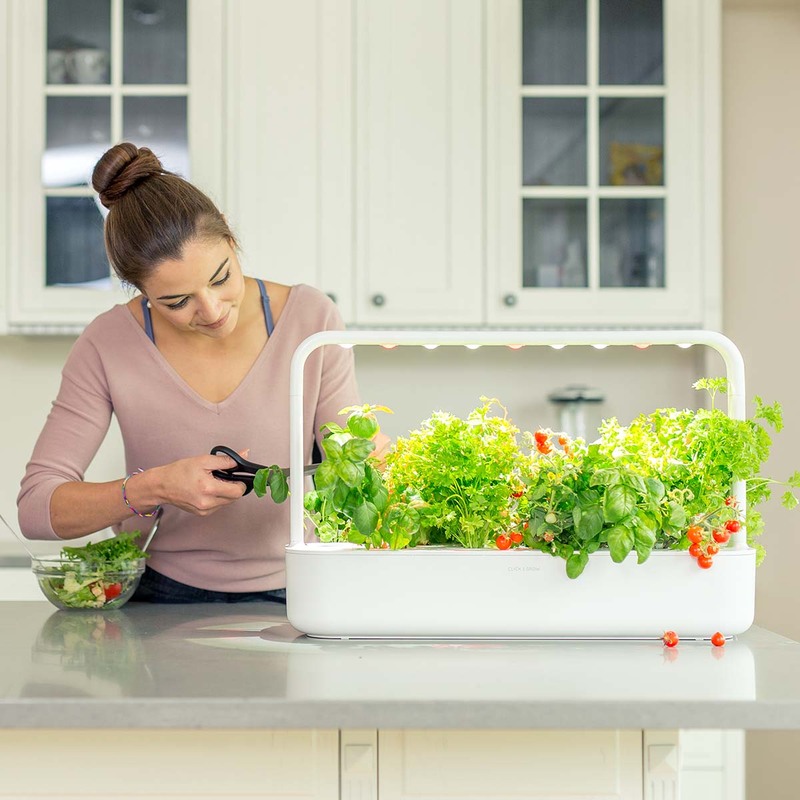 It’s the ultimate set-it-and-forget-it garden system that will grow plants for you with 0 effort. 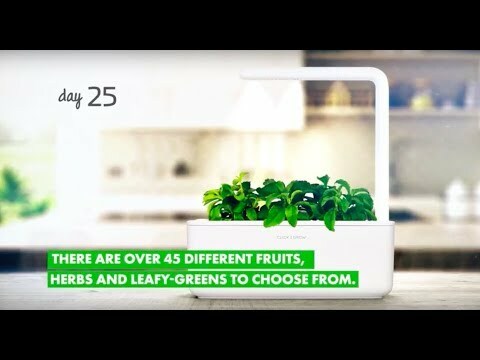 Choose from our selection of 40+ lab-tested herbs, fruits and decoratives or experiment with anything you like. The lamp is designed specifically for faster germination and growth. Provides natural light cycle of 16 hours on and 8 hours off. A patented nano-material that automatically releases nutrients, oxygen and water your plants need to thrive. Consumes a mere 70kWh and 7$ of electricity per year. Waters plants automatically. Holds up to one month of water supply. Create greenhouse effect for extra fast sprouting. Easily monitor the water level and fill the tank approximately every 4 weeks. We make the Best Gardens. Ever.